Paluvayi Bhanumathi Ramakrishna (7 September 1925 – 24 December 2005) was a multilingual Indian film actress, director, music director, singer, producer, book writer and songwriter. Widely known as the first female super star of Telugu cinema and South Indian film Industry, she is also known for her works in Tamil cinema. She was awarded the Padma Bhushan in 2003 for her contribution in Indian cinema. She was honored among "women in cinema" at the 30th International Film Festival of India. She was born in a Telugu Brahmin family.She is third child to Saraswatamma and Bommaraju Venkata Subbaiah, in Doddavaram village of Prakasam district, near Ongole, Andhra Pradesh. She grew up watching her father perform in various stage shows. Her father, Venkata subbiah, was a staunch lover of classical music and trained her in music from an early age. 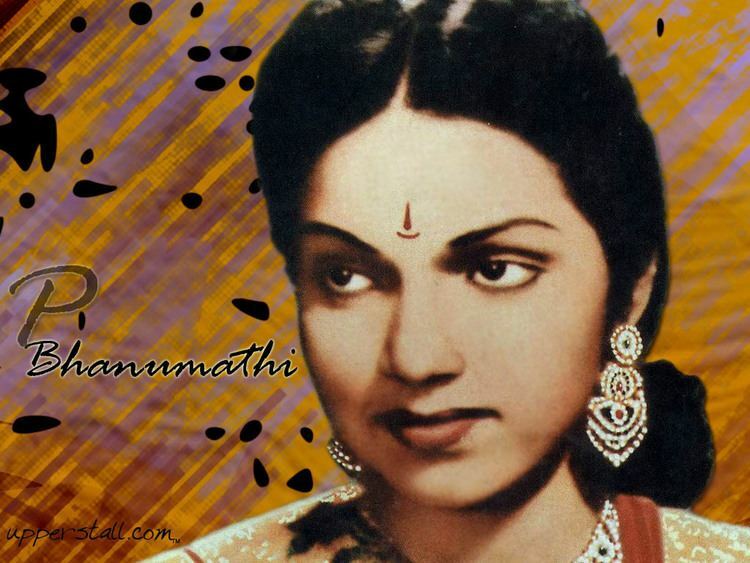 Bhanumathi entered the film industry in 1939, and acted in over 200 films in Telugu and Tamil. She was also called as Ashtavadhani by the film industry people as she was a writer, actor, director, producer, singer, music director, editor and studio owner. She also had a good knowledge of astrology and philosophy. She made her debut in Telugu cinema in 1939 as Kalindi (a 13 years old girl who is forced to marry an old man and ended her life by committing suicide) in Vara Vikrayam (Telugu), directed by C. Pullaiah. She had acted in Malathi Madhavam, Dharma Patni and Bhaktimala. Her first popular film was Krishna Prema. Her next popular film was Swargaseema, a milestone film in her career. In Swargaseema, she played the role of a theater artist with negative shades who is after a married person for her personal benefits. Oho Pavurama song (sung by her) in Swargaseema became a super hit and she was showered with offers. She later acted in many memorable movies like Chakrapani, Laila Majnu, Vipranarayana, Malliswari, Batasari and Anthastulu. 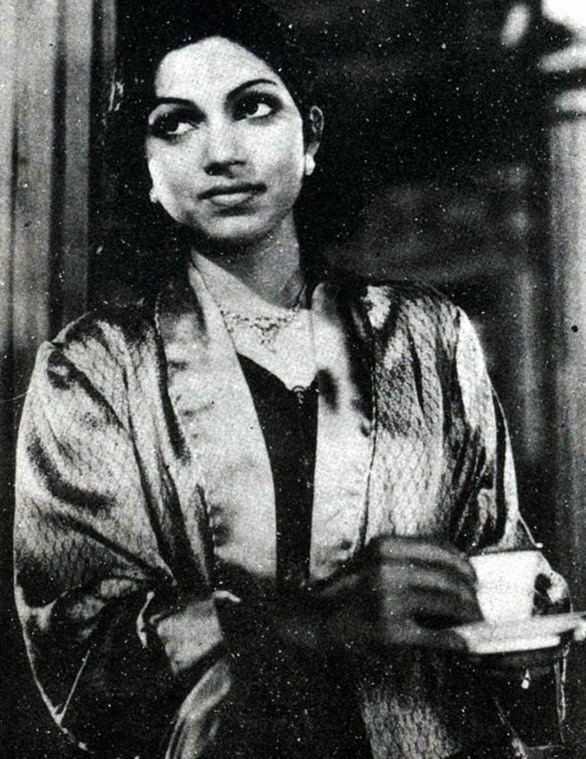 Her first film in Tamil was Ratnakumar in the year 1949 along with the famous hero of those day P. U. Chinnappa. This film was directed by Krishnan-Panju. In 1953, she made her directorial debut with Chandirani (made simultaneously in Tamil, Telugu and Hindi). Her last film was made in 1998, entitled Pelli Kanuka. C. N. Annadurai gave her a title "Nadippukku Ilakkanam" (Tamil: நடிப்புக்கு இலக்கணம்) (Grammar for acting) that suits her aptly. She was revered by almost all the actors she had worked with like N.T.Rama Rao, Sivaji Ganesan, M. G. Ramachandran, Akkineni Nageswara Rao, Nagarjuna, Balakrishna, ChiranJeevi, Pawan Kalyan, Venkatesh for her bold and prolific versatility. 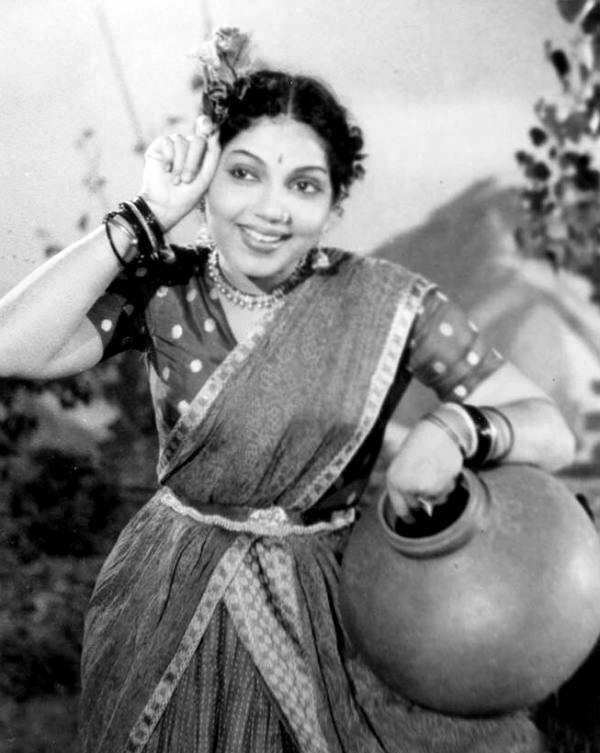 One of her memorable movie in Tamil was Annai, in the year 1962 directed by Krishnan-Panju, where her acting was appreciated by all and also got the National Award for the film and for also performances in movies Anthasthulu and Palnati Yudham (1964) she received National Awards (Rashtrapati Award). She is the last recipient of Rashtrapati Award. Due to her rift with Aluri Chakrapani, she left her role in Missamma movie (Initially Bhanumathi was shot for some scenes in the movie befote being replaced by savitri rr) but after the release of the movie she watched and commented that "she lost a wonderful role but industry gained a talented actress like savitri" which showed her sportiveness and encouragement towards new actors. Due to clash with Aluri Chakrapani, she produced a satirical movie on him titled Chakrapani which was a huge hit and became a classic in Tollywood for this movie she also worked as Music Director. 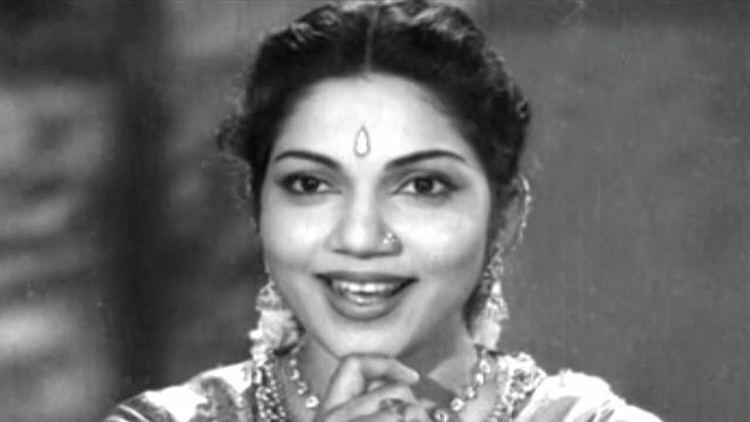 For the movie Anthasthulu (1964), VB Rajendra Prasad had approached Bhanumathi for the role of Akkineni Nageswara Rao’s sister. She liked the subject and agreed to do the film immediately. The crew booked a room in "Ritz-Carlton" in Hyderabad and she didn’t want to waste money, so she offered to stay at Sarathi Studios, which had an open area and snakes. The next morning she woke up with her nails bitten by rats. The director decided to cancel the shoot, VB Rajendra Prasad rushed to see Bhanumathi applying iodine casually on the nails and asking when she could start work. While continuing with the shooting, she said, "If you cancel shoot for small things how will I be a Bhanumathi (which means ‘shining like the sun’ in Sanskrit)." India's First Vice-President Sarvepalli RadhaKrishnan was a fan of her work. 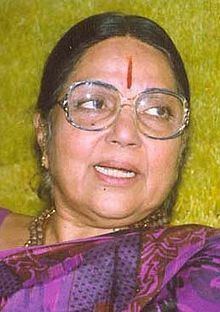 Telugu cinema Veterans like Jamuna, Savitri and so many actresses cited her as an inspiration for entering into movies. she is widely recalled by her close associates as 'Epitome of Self-Respect and Versatility'. She is the only Female Film Studio owner in our country. She is called as Ashtavadhani by Tamil people. After seeing her performance in Ragoon Radha film C.N.Annadurai honoured her with title "Nadippukku llakkanam". In later years, she continued to act in pivotal roles in many hit movies like Tatamma Kala, Mangammagari Manavadu, Gadasari Atta sogasari Kodallu, Muddula Manavaralu, Bamma Maata bangaru Baata, Peddarikam and Pelli kanuka. Apart from being an exceptional actress, she was also a very talented musician. She is one of the fine actresses of Telugu film industry. She was adept in both Carnatic and Hindustani music. She gave voice to her songs despite it being the norm to use playback singers for actors. Some of her songs are still popular like Pilichina biguvatara, Kila Kila Navvulu, Oh Pavurama, Preme Nerama in Telugu and Azhagaana Ponn Naan, Vaarai Inbam Thaaraai, Nilaa Nilaa Odi Vaa, Thalai Vaari Poochoodi Unnai, Kannile Iruppathenna and Annai Enbadhu Neethaanaa in Tamil. She also provided music to a lot of her films. During her later years, she served on various movie related organizations. She was a Member of State Film Awards Committee for two years. She was also a Visiting Professor at the Film Institute for one year. She was Member of Children Film Society for 5 years, from 1965 to 1970. In India, she was the first and the only woman to have owned a film studio, first actress to act in a dual role and the first woman to have directed a movie simultaneously in three languages. On occasion of World Women's day, Sakshi Sunday magazine listed the most successful women from every industry and she was listed in the one for those from the movie industry. It was also added that the present highly successful heroines could not reach the heights Bhanumathi reached and that it is an impossible task for anyone to reach her level of success. During the shooting of the film Krishna Prema, she met P. S. Ramakrishna Rao, an assistant director for that film. He was a film producer, director and editor of Telugu and Tamil Films. The couple later married on 8 August 1943 and later launched a popular production company, Bharani Pictures on their son's name. She died at the age of 80 years in Chennai. Government National Award for Best writer for the book "Nalo Nenu" an autobiography in 1994. Annadurai honoured her with a title "Nadippukku Ilakkanam" for her remarkable performance in "Rangoon Radha"
She was one of the dignitaries been honored by Andhra Pradesh government at the time of state formation in 1956. This is partial list of her films. Bhanumati gave her voice for herself and many actors to sing many songs.